I went to the 21st Annual Feast of Fields event on Sunday, September 13, and wow was that an amazing event—it blew me away! 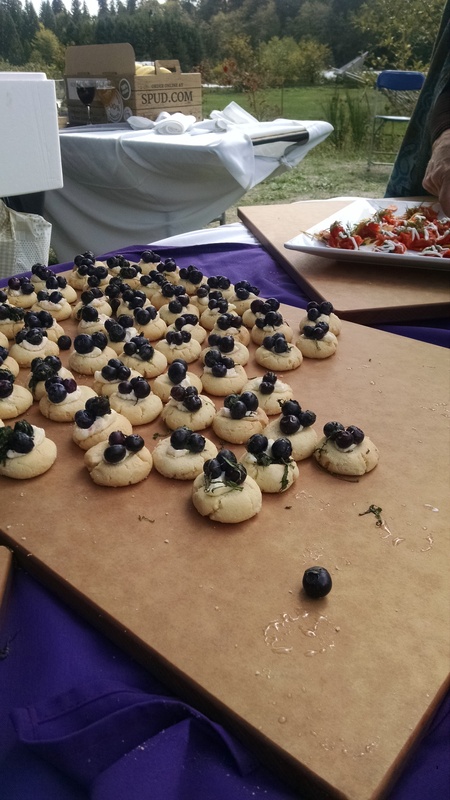 The Feast of Fields event is the best of both worlds for foodies and wine lovers. The event benefits FarmFolk, CityFolk, a non for profit society that supports sustainable agriculture. 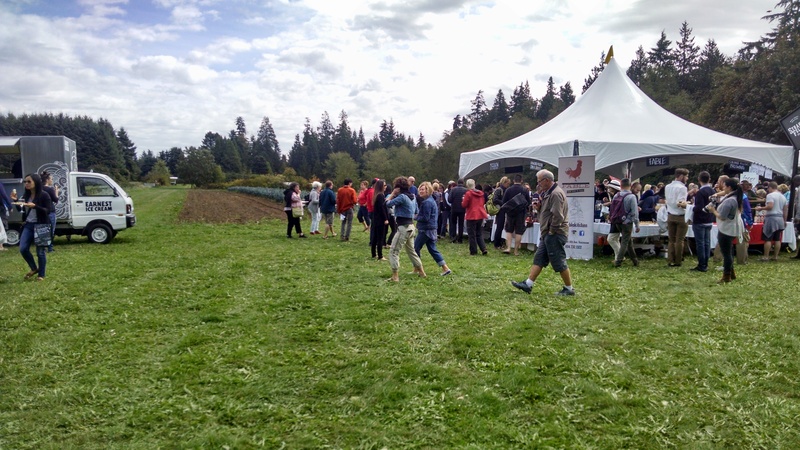 The event is being held at three different locations this year and I went to the Vancouver Metro event, held at the UBC Farm. The ambiance was very country and folksy, with live bands playing in the background, 14 tents set up and an array of picnic blankets, lawn chairs, and picnic tables set up and people sprawled out among the lush fields of green grass. The sun was out and people were eating and laughing. As I made my rounds to visit different tents, each featuring sampler-sized delicacies and wine pairings, I discovered a few of my favourite wines of the day, and food of course. 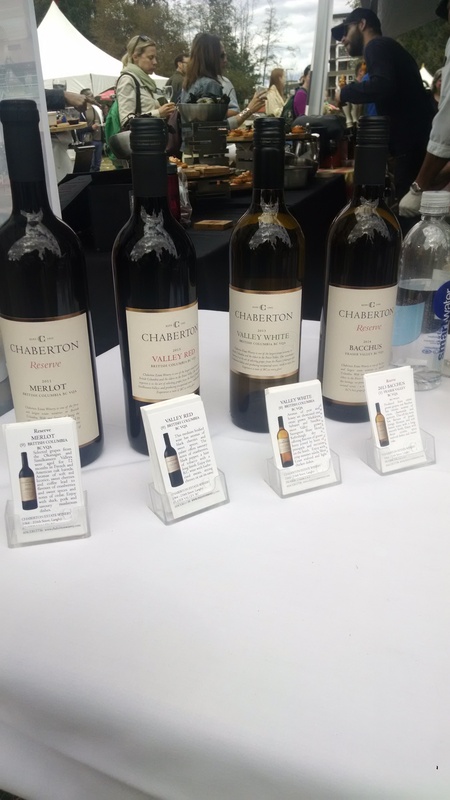 I have a preference for sweeter wines, so Chaberton Estate Winery’s 2014 Reserve Bacchus, a relative of the Riesling, was one that I carried around with me for a good hour. The Bacchus has aromas of citrus, chamomile and apricots. This off dry wine has flavours of peach, orange blossom and soft lemon notes. 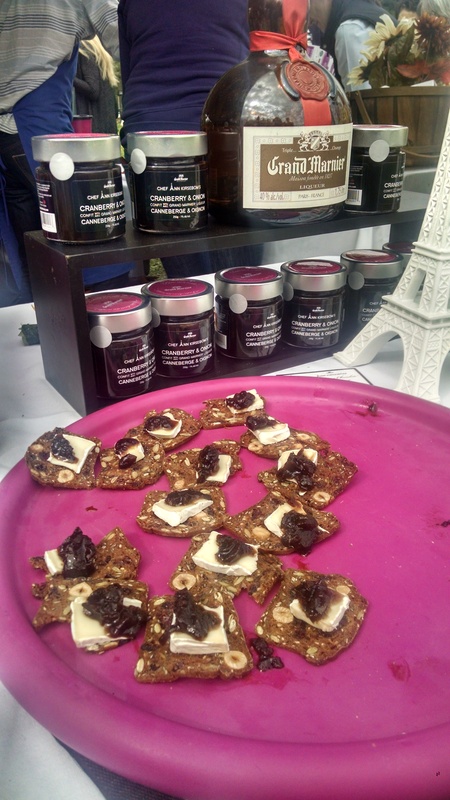 It isn’t as sweet as the Riesling, and complemented a lot of the sweeter finger foods found at many of the tents, usually various toppings and sauces served on top of crackers, crisps or cookies. 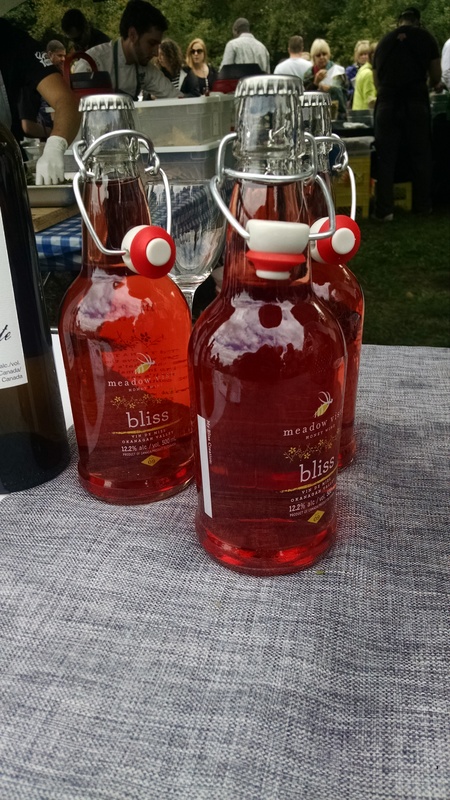 But, my absolute favourite is Meadow Vista Honey Wines’ Bliss, a sparkling cherry honey wine. You can taste notes of cherry, plum and Pinot Noir. They described it as very similar to an adult cooler. Instead of using sugar, all of their wines are made using honey creating high quality meads. There’s a very distinct taste as you sip on it and makes a great dessert wine. I had Bella Gellateria’s Burnt Caramel gelato after this, and it worked so well together. 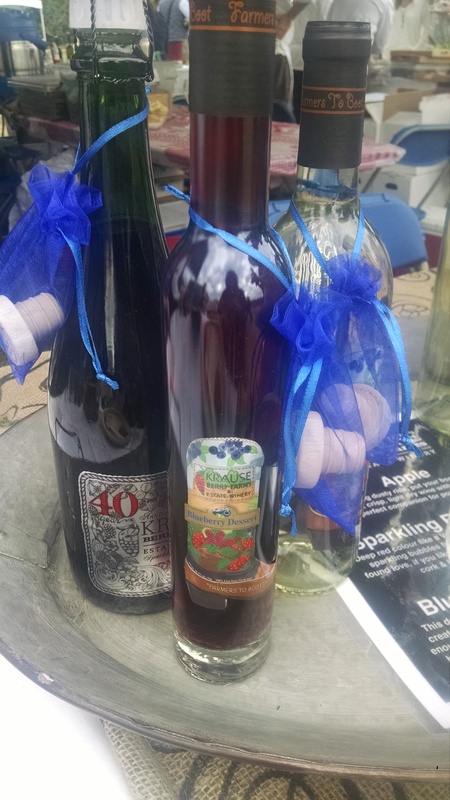 The next wine that stood out to me was Krause Berry Farms and Estate Winery’s sparkling raspberry wine and blueberry dessert wine. This wine was quite sweet as expected from dessert wines, the bursts of raspberry and blueberry notes were a great end to a wonderful three hours spend on the farm. From others who attended the event in the past, this year’s event has improved immensely. It was definitely a $95 well spent. I can’t wait for the next one. 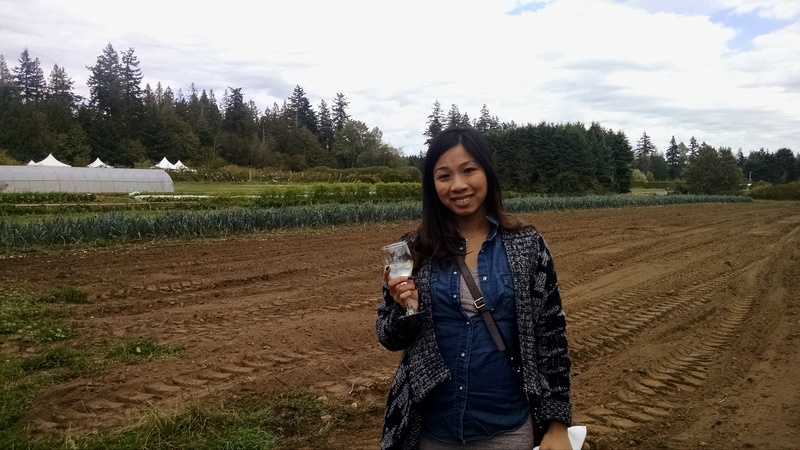 This entry was posted in Event Coverage, Wine Reviews and Suggestions, Wine Tastings and Special Events and tagged BC Wine, Farm, Food, Local, Pairing, Sustainable, Wine Tasting by lesleyyuen. Bookmark the permalink. I'm a foodie, always looking for the next big thing to share with the world. Whether it is a great wine event or the grand opening of a great food joint, you can count me in.